Robert L. Flores, better known by his stage nickname Lil Rob, was born on the 21st September 1975 in San Diego, California USA. He is a hip hop musician, who has released over 10 studio albums, and is probably best known for “Crazy Life” (1997), “Twelve Eighteen, Pt. 1” (2005), “Twelve Eighteen, Pt. 2” (2008), among others. Some of his best singles are “Summer Nights”, and “Bring Out The Freak In You”. His career has been active since 1992. Have you ever wondered how rich Lil Rob is, as of mid- 2016? It has been estimated according to authoritative sources that the total size of Lil Rob’s net worth is as high as $2 million, which has been accumulated through his successful involvement in the music industry as a hip hop artist, who has collaborated with a number of greatest musicians on the American scene, including Flo Rida, Pitbull, Far East Movement, The Game, Kid Frost, Ice Cube, Bizzy Bone, Ludacris, and Fat Joe, among others, which boosted his popularity, and also increased his net worth. 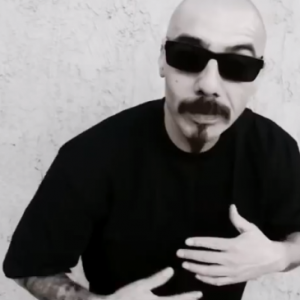 Lil Rob spent his childhood in the Mexican neighborhood of La Colonia,Eden Gardens, which is near Solana Beach, California; the youngest of three children. Rob`s career began in the early 1990s, when he started the hip hop group Lil` Rob & the Brown Crowd. He recorded a song entitled “Oh, What a Night in the 619″, however, it failed to chart, and Lil` Rob left the group to continue on his own. Rob signed a contract with Low Profile records, and started working on his debut album. Entitled “Crazy Life” it was released in 1997, however it also failed to chart, but the sales certainly increased his net worth. He continued in the same rhythm, and in 1999 released his second album, entitled “Natural High”, but that also failed commercially. He released two more albums through Low Profile records, entitled “Still Smokin`” (2000), and “The Last Laff” (2001), before quitting Low Profile, and signing with Upstairs records. His career then took a turn for the better, and his next album “The Album”, became his first release to chart, reaching No. 94 on the US R&B chart, and increasing his net worth by a large margin. He continued successfully with albums that followed, including “Can’t Keep a Good Man Down” (2003), “Neighborhood Music” (2004), and “Twelve Eighteen, Pt. 1” (2005), which is his most successful album to date reaching No. 31 on the Billboard top 200, and No. 16 and 9 on the US R&B and US Rap charts. This added a substantial amount to his net worth. To speak further of his career as a musician, he has released albums such as “1218 (Pt. II)” (2008), “Love & Hate” (2009), “(Lil Rob’s) Oldie Collection” (2010), and “R.I.P. (Recording In Progress)” (2014), which have also added to his net worth. Apart from his career as a rapper, Lil Rob has also launched an acting career, appearing in several films such as “187 Shadow Lane” (2003), “Dirty” (2005), “Big Stan” (2007) with Rob Schneider and Jennifer Morrison in lead roles, and “Down for Life” (2009), starring Snoop Dogg and Danny Glover, which also increased his net worth to a large degree. When it comes to speak about his personal life, Lil Rob is married to Desiree Owens. In spare time he is very active on social networks, such as Facebook and Instagram, on which he has a great number of followers.